Bebe clothing are members of the BSCI membership number bvN9f5. We believe and invest in our sourcing partners to achieve fair working conditions and give our customers piece of mind that their goods are produced in BSCI/SEDEX audited factories with safe working conditions and fair wage. Bebe clothing are a signatory to the ACCORD in Bangladesh which ensures we are passionate about safe working conditions there. We review and investigate on a monthly basis the factories we use in Bangladesh to ensure they are to the standard required and any outstanding issues are given an action plan and we then support the factory to achieve the required. We are one of the largest denim suppliers and manufacturers in Europe. 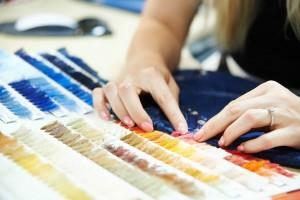 Our speciality is denim jeans, jackets, dresses, shorts and we also supply soft wovens, jersey & sweats. Our products cover Ladieswear, Menswear & Childrenswear.